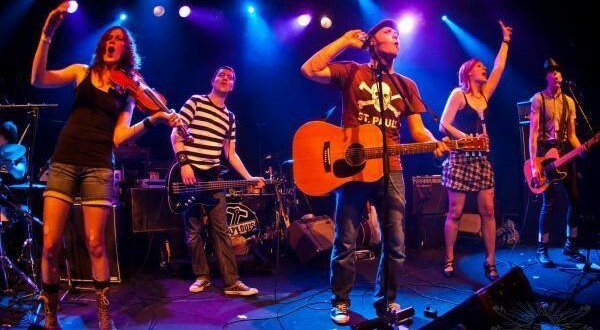 The Moorings, are an explosive band of French-Irish folk-punk who has collaborated, among others, with the Dubliners and the Pogues. Formed in 2007, The Moorings born as acoustic group, then move on to electric irish_punk.In their genre, are among the band most follow in the old continent. Faithful to the themes of popular Irish tradiziione, The Mooring they recorded their first album “Pints & Glory”, in October of 2011.